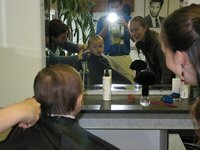 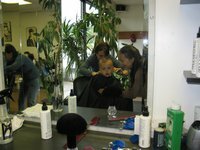 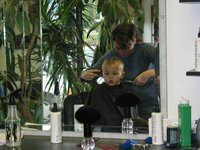 This past weekend Miles got his 1st professional haircut. 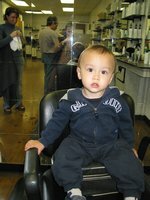 Nirvana gave him his very first haircut just to get rid of his mullet. 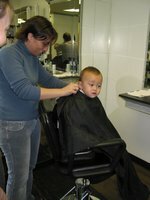 He didn't cry at all but he came close to getting upset a couple of times.